Our four adventurers continued on through the night, following the trail of the Greenest invaders. The bee encounter had taken some time, giving the raiders opportunity to arrange a rearguard. The party happened upon such a gathering while sneaking closer to a small cooking fire. Some kobolds and guards had taken up camp and now tried to make supper. It was obvious that the two factions did not get along well. While Kerr hid from plain view, the rest of the party closed in and tried to fit in as cultists. The guards fell for the lie and welcomed the PC:s for supper. After some subtle questioning that didn’t lead to any new clues (the cultists were recently drafted) the party decided to kill their newfound “friends” while on guard duty. 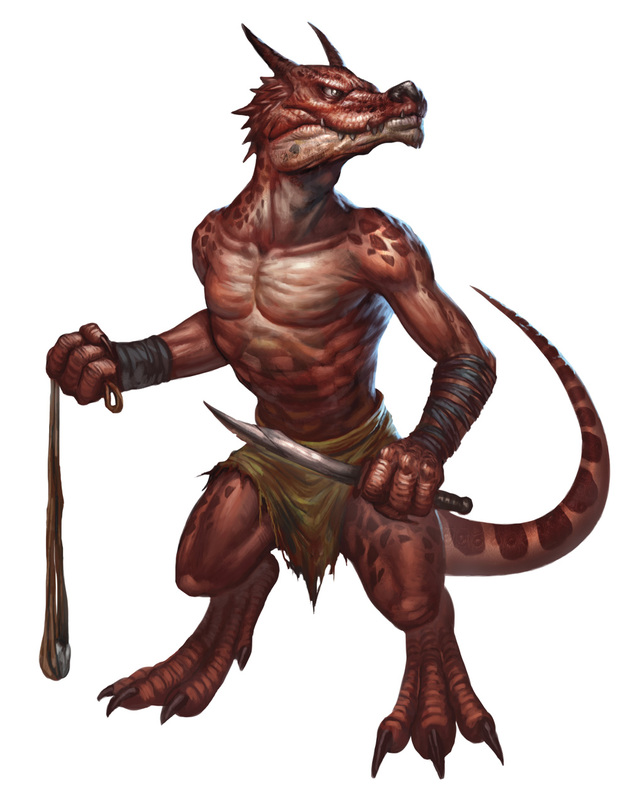 Successful ability checks were made and the kobolds scattered as soon as their humanoid masters were no more. In the morning, the party continued into a rockier landscape. Plateaus dominated the scenery and inbetween two such formations, in a crevice that seemed made for an ambush, the PC:s ran into the second rearguard. Unable to provide the demanded password (they didn't think of asking the night before) they were promptly attacked by a barrage of thrown spears. Some chaos ensued, their horses panicked and the party had to flee, tail between their legs. There were several caves in the rocky landscape and the party took refuge in one of them. While scouting, Kerr found out that the crevice could be evaded by taking yet another detour. During the next night, the now refreshed party set out, following Kerrs lead. Soon after, they saw the camp, hidden and fortified in a horse shoe-shaped ravine. Kerr decided to continue the stealthy approach, but the rest of the party, clad in armour suited for battle, not sneaking, felt that a direct approach was more reasonable. The half-orc climbed up the large rocky formation holding their target. Thanks to darkvision, he spotted a kobold patrol coming his way and stealthily neutralized them by hiding in the tall brush. He then crept forwards, toward the crest line to see into the camp. He saw hundreds of individuals gathered in the camp. After a short while, he reasoned that the kobolds, mercenaries and cultists resided in different parts of the camp and did not interact much, proof that not every raider was a religious freak or shared the cult's motives. More importantly, he saw some crosses gathered together, with a thin man tied to one of them. Kerr stealthily climbed down the cliff wall and started towards the crosses. 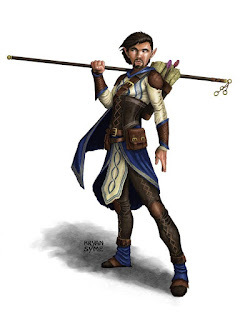 He avoided some guards and now saw that the man on the cross was a half-elf. It had to be Leosin. Leosin didn't have much to say, even though he was scared and it took some convincing before he accepted Kerr's help. Trapped in the midst of the enemy camp with only cliff walls around him, Kerr decided to climb out with Leosin on his back. The three companions decided to walk into the camp, where they almost immediately were stopped by some guards, crossing their halberds and halting the party. They seemed to accept the characters lies and started to lead them towards the larger, ornate tents in the back of the camp, close to where Kerr was saving Leosin. Inside the tent, Langdedrosa Cyanwrath himself sat upon a small throne. He quickly saw though the ruse, laughed heartily at his good fortune and sent the characters off to the prison tent. The cultists knocked out the party and promptly dragged them away. The party awoke in a small tent a little while later with their feet tied down with chains in a joint pole. Outside, they could hear some guards talking and moving about. Victor tried to get their attention and through a combination of mind magic, a wizard's hand and a cooking pot, they secured the key to their locks, while the guard happily informed the other guards that he had let the prisoners go. Moving quickly, the PC:s slid underneath the canvas and found themselves in the midst of the guard camp, with several dragonclaws looking at them. It came to a fighting withdrawal, with Kerr suddenly popping out of cover and giving ranged support from the cliff. The party started to climb and surprisingly made it up the wall despite being shot at several times. With Leosin secured, the party wasted no time returning to their little cave. Looking over their shoulders, they saw the moonlight outlining the silhouettes of their attackers as well as a large half-dragon, now mad with the lust for revenge. I didn't like the episode as it was written, so I tried to make this outing more like a daring escape and a short, action-packed infiltration story. I knew that Kerr was the only character able to carry this out, so I encouraged all of his ideas to make some really cool moves. He was happy with that, but the other characters felt that they didn't contributed much. Next time, however, there will be a dungeon crawl with something for everybody inside!